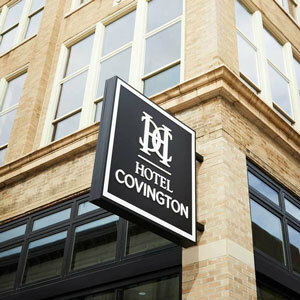 The Hotel Covington property located in Covington, Kentucky, features hotel bedding made by DOWNLITE. The Hotel Covington uses several items from DOWNLITE including our down comforters, 50/50 down and feather blend pillows, EnviroLoft down alternative pillows and down alternative comforters. These products are available for sale to home customers.